This quote brought comfort to me during the second year of recovery after receiving nasty injuries. My early recovery was fast and I could literally see my wounds heal week to week, but a year later, the recovery slowed dramatically and was mostly internal. I couldn’t see my nerves or energy level heal, I just felt the negative effect of them – pain and fatigue. I was a task person – feeling worthwhile when working or accomplishing something. So I was frustrated and depressed that I couldn’t do what I did before, especially run, and that I had to rest periodically throughout the day. Thanks to book suggestions and wise counsel from a mentor, I learned how to rest in God’s love and give my body the time it needed to heal. Step by step (literally) I healed – and I know that even though my body doesn’t require the rest now it did during that time – I as a whole want and need times of rest. 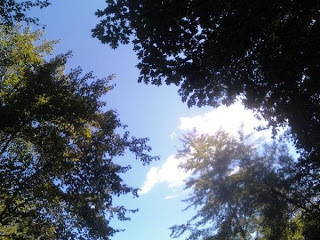 Sundays are that time for me – I slow down, go to church, connect with family and friends, read or watch the clouds go by. Do you give yourself time to rest? And if so, when/what will you do? I don't rest as much as I need to, but Sundays are typically my down time – church, reading, family and sometimes a nap. Oh, I wish I could say I give myself plenty of down time, because I really should. I do try to use some of my Sundays to reconnect with my family. I also have some "me" time on some Fridays, which I love. I needed this today, Janet. Because sometimes you get more done while resting than you do while working. That's the hard part, yes? When it becomes difficult to see the healing.